To register in person please stop by City Hall at the Parks & Recreation front counter or online at www.tracyartsandrec.com. For more information please contact the Parks & Recreation office at 209-831-6202. 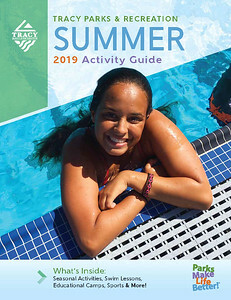 Click on the Summer 2019 Activity Guide to view the various swim classes, camps and events!